It’s easy to sneer at The Beatles, for a lot of people at least. Pop music for people who don’t like pop music. A band who were more than the sum of their parts (reinforced by several decades of four very very variable solo careers). A band who were too successful for their own good, and everyone else’s, with the regards that their back catalogue is constantly repackaged and their story constantly retold, without (m)any new angles. There are, of course, some people who delight in sacrificing sacred cows, to the point that such an activity is as clichéd as those they believe they are attacking. But life is too short to deal with such idiocy. The Beatles’ eighth studio album, Sgt. Pepper’s Lonely Hearts Club Band, will celebrate its 50th anniversary on June 1. That’s how old it is now, and it still has a hold on people. Why is it so lauded? Because it was groundbreaking in so many ways, in which this documentary explains. In many ways – and I mean this with the greatest respect to all involved – it continues this important story where Ron Howard’s excellent documentary from last year Eight Days A Week: The Touring Years reached. It starts off with the Beatles about to go off to the US on what would be their final tour. This was against a backdrop of protests in the Bible Belt of religious objections to John Lennon’s remarks that the Beatles were now bigger than Christ. This included record burnings in Memphis, and Lennon having to apologise and explain his remarks. This was a time of transition. Though the most recent Beatles studio albums – 1965’s Rubber Soul and 1966’s Revolver had seen them up their game, they were still looking to take their music further. Yet much of these albums weren’t played on the tour as it was felt that they couldn’t be replicated live.They were talking about quitting live performance, something that worried manager Brian Epstein, who was in his element organising tours. His death, a matter of months after the album’s release is handled sensitively. The musical world was changing. There’s exploration of the move from being described as pop to rock, notion of long term rather than disposable. This wasn’t some controversy along the lines of Dylan going electric, but certainly musically and lyrically the band had left three chord tunes about love far behind them. This documentary explores the making of the album, the response and what followed. It transpires that ‘When I’m 64’ had been played by McCartney at the cavern back in ’63. EMI were somewhat aghast at how much the album cost and how long it took to make. Three months and £25,000 on one album were unthinkable for the time. The documentary is a mixture of archived footage with the Beatles and new interviews with associates. The latter include their authorised biographer Hunter Davies and Jenny Boyd (sister of Patti, George Harrison’s first wife). They explore how The Beatles were pushing back against the image of the ‘loveable moptops.’ Not for the first time, the theory is pushed again that it was McCartney not Lennon who was the avant-garde one. Sure, much of the story may be familiar. But it’s beautifully told and explored, and far from a cash-in or rehash. Given that there were still a few more chapters to be written, I hope that Alan G. Parker will get the opportunity to explore this for us, too. 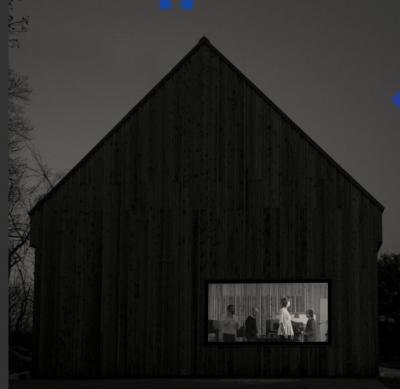 It’s funny, considering that I was fairly immune to the charms of The National for a long time, I was rather pleased when an email from 4AD dropped into my inbox early this morning. Much of that is no doubt to do with just how brilliant Trouble Will Find Me was. 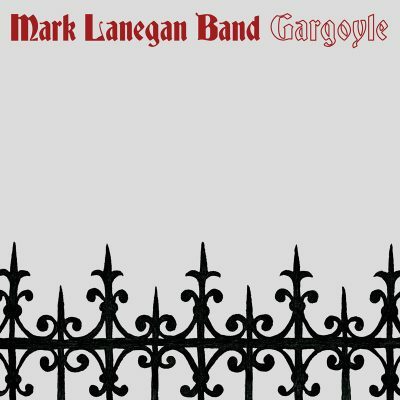 It’s quite something to note that Gargoyle is Mark Lanegan’s tenth solo album. He first gained attention leading grunge godfathers Screaming Trees back in the 1980s – and a wealth of projects and collaborations have followed since 1984. If Screaming Trees didn’t quite reach the Everest-like commercial peaks of Nirvana, Lanegan has managed to successfully immerse himself in vastly different musical activities- and compared to a number of his contemporaries avoid repeating himself for decades, turning into a totalitarian bandleader or simply winding up dead. It does, of course, help that he’s got that voice. Comparable- in a good way – to the deep bass voices of Leonard Cohen (RIP) or Tom Waits, it’s leathery and gruff, yet still inherently musical. Frankly, Lanegan could recite the phonebook or a shopping list, and his expression would still be enticing listening. When the first track to be released from the album ‘Nocturne’ arrived a few months ago, this was still there, greeting the listener like a wry smile over the airwaves. Where does Gargoyle fit into his catalogue? There’s definitely a sense of following on from 2012’s Blues Funeral and 2014’s Phantom Radio. These albums have a sense of an alternative rock history, drawing in not just grunge and dabbling with electronics in various forms, but also 80s goth music. While you don’t hear much of this on the Screaming Trees albums, these have come to the fore far more on recent albums. Whilst entire dissertations could be written on the meanings behind ‘goth’ and ‘gothic’ you can’t fail to pick up on these themes from the album cover alone. It’s a gothic church fence, like the kind you would find around a 19th century style church, where one assumes you might also find a, um, gargoyle. And this is perhaps where the album might struggle a bit. It has some great songs – in the pre-internet era, you might have said the aforementioned ‘Nocturne’ was worth the price of admission alone – and ‘First Day Of Winter’ and ‘Emperor’ are amongst other strong contenders as well. Yet somehow, whilst it’s a decent album, it can lack originality at times and the feeling can be that somehow it’s not quite the sum of its many parts. It’s gothic, it’s noir, and it’s kind of fun, yet somehow it doesn’t quite connect at the end of the day.